Racist commentaire on Youtube. I don't know what to say about this....(Source: Me). Wallpaper and background images in the fanpop FAIL! 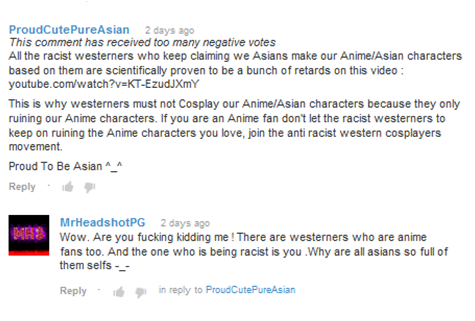 club tagged: fail facepalm stupid youtube troll racist.